Corruption is called the biggest element of the destruction of any country. The corruption is in any institution, that institution is eaten as a dictator. Politicians and governors are often involved in corruption in other countries due to which the entire nation is suffering from various issues including poverty. South Korea’s court has sentenced former former President Lee Myung-bak to a 15-year jail sentence in the corruption case. According to the report, former South Korean President Lee Myung-bak has been sentenced to 15 years in prison for corruption and sentence of 13 billion won. The case was filed against former accused Lee Myung-bak in the South Korean district court case. Former President Lee Myung-bak was not present in court due to the misconduct of nature. After hearing the arguments of the court, the court declares the decision in the absence of former President Lee Myung-bak was convicted and sentenced to 15 years imprisonment. Former president will also have to pay a penalty of 13 billion rupees. 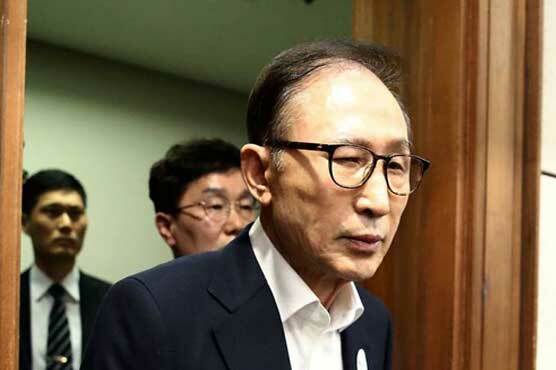 The local court judge said that the former president Lee Myung-bak has acknowledged the billions of dollars as bribery for the apology of electronics company Samsung. Samsung ‘s administration on the other hand refused to supply money to the former president similarly, former President Lee Myung-bak, who was the president’s office since 2008 to 2013, had filed corruption cases filed against him. Clearly, former former President Park Geun-hye of Lee Myung-bak has also been sentenced to 33 years in prison for corruption.